Tonight I witnessed the most incredible concert – Lady Gaga at Burswood Dome. Ms Gaga is the most amazing performer I’ve ever seen and her costumes were killer! 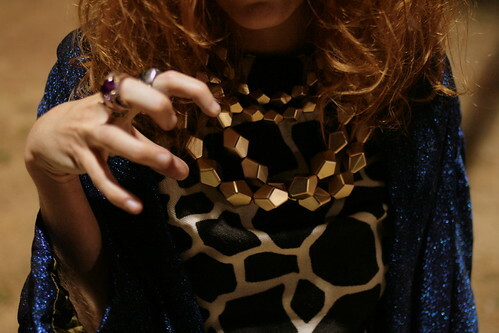 Here’s Hannah doing her best Gaga claw while sporting some lovely necklaces from Pigeonhole. Check out X-Press next week for my review of the gig.